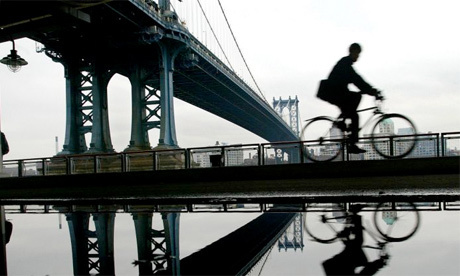 Is New York really ‘too New York’ for cycling? I am writing this submission from my position as chairman of ‘Cyclist.ie’, the all-island umbrella body for utility cyclists. I was born in Belfast and lived there for part of my childhood years. All my relatives live in Northern Ireland. I would urge that you listen to what experienced cyclists (Cyclists Touring Club, NI Cycling Initiative, many individual cyclists, etc.) have been saying to you about this Bill. Its original proponents may mean well but what you, as legislators, have to consider is the unintended consequences of introducing it into law. Is the Bill going to reduce significantly the incidence of road traffic collisions involving a cyclist and a motorised vehicle? Is the Bill going to reduce significantly the incidence of head injuries leading to death or morbidity in such collisions? YouTube video – not a helmet in sight!